From time-to-time, students are unable to fulfill their weekly service hour requirement due to scheduling, illness, or other commitments. When this happens, it is best to try to make up any missed hours with the organization that you regularly serve. After all, they are the ones completing your evaluation. However, if you still find yourself short on required hours, students may complete any of the following service options to earn up to 2 hours towards their service hour grade. The PSL Green Team collects aluminum cans to help the environment and raise funds to support PSL programs. According to some estimates, Americans throw away $1 billion worth of aluminum cans each year. In addition to saving space in a landfill, recycling also saves electricity. 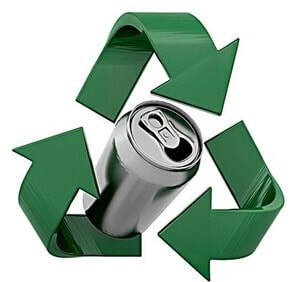 Recycling an aluminum can takes just 5% of the energy it takes to make a new one. Please consider doing your part to reduce waste, conserve energy, and save the plant by bringing your recyclables to PSL at the end of each grading period. How it works: Take a tall kitchen (13 gallon) garbage bag from the recycling room in the PSL Center for Civic Engagement or use your own. Fill it with empty aluminum cans and bring it to the PSL room. Mr. Soeder or Mrs. Trentanelli will verify your donation and credit you up to 2 service hours for the current grading period. Bags that are half full will earn 1 service hour. How it works: Buy 1 new package of socks, 1 new package of underwear, and fill a large garbage bag with gently used but clean items that individuals may need for the upcoming season. Mr. Soeder or Mrs. Trentanelli will verify your donation and credit you up to 2 service hours for the current grading period. Bags that are half full or missing new packages of socks/underwear will earn 1 service hour. PSL is partnering with Project Hope for the Homeless to provide meals for families staying at the shelter. To help make sure every belly is full each night, especially the smallest of them we are seeking volunteers to donate and prepare 15-20 meals on the second Wednesday of each month during the school year. Volunteers would arrive at the PSL kitchen at 3:00 p.m. on their assigned date with all of the required groceries, prepare the meal, and deliver it to the shelter by 5 p.m.
How it works: If you would like to help in this way, please sign up by clicking here. You plan the menu with the other volunteers, you bring the food, you use the PSL kitchen, and you drive the meal to Project Hope. Mr. Soeder and Mrs. Trentanelli will work with you and credit you 2 service hours for the grading period during which you prepare the meal. How it works: Find old magazines, 8 large envelopes, and a pair of scissors. Cut out images and words that corresponds to the categories listed below. Create envelopes for each category. Bring in the envelopes full of images/words to the PSL room and hand them to Mr. Soeder or Mrs. Trentanelli. Depending on the quantity turned in, they will credit you up to 2 service hours for the current grading period.